You’re sitting with your BFF (best friend forever) as she’s depressed, in tears and describing her extremely painful situation(s). You feel so much for her and also feel frozen. You don’t know what to do or say to make her feel better. All you know is you want her pain to end and don’t know how. This is an all too common scenario among those with close relationships. For us empaths (“How to know if you’re an empath“), it can be incredibly hard to sit with challenging emotions or a problem that we can’t “fix” (even if we are 1000% certain we know how to fix it). So, what the heck do you say to someone who has a lot of pain and several problems that need solving? By now you all know that this is a therapist’s blog and I’m going to recommend that you encourage them to seek professional help with a therapist. 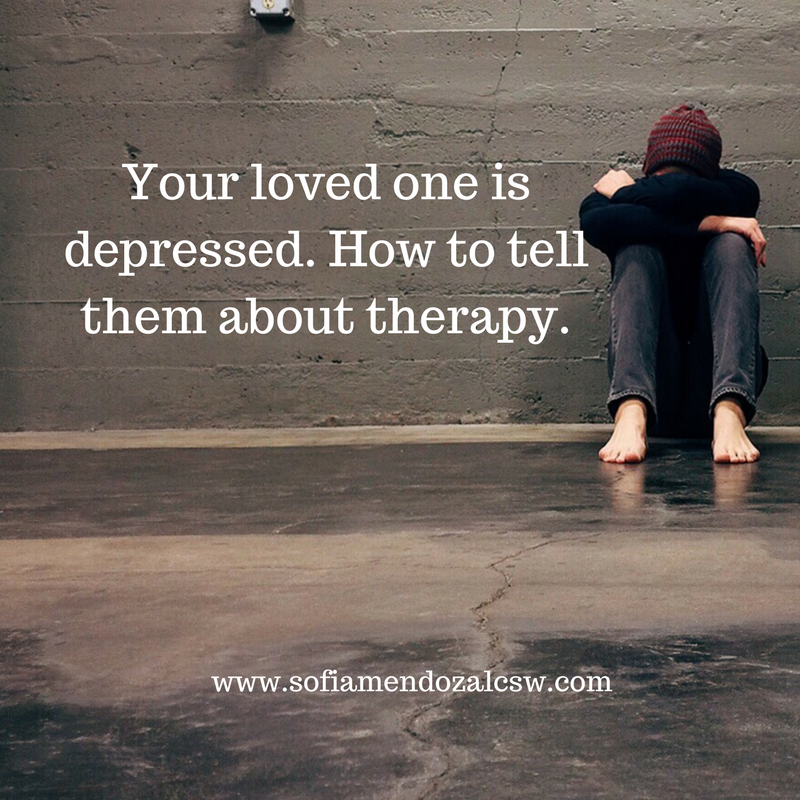 You also know that your loved one would benefit from therapy (whether or not you’ve gone to therapy yourself). You know that these problems are obviously too big for you and he to carry alone. And perhaps you can feel the toll it’s taken on your relationship or even your own well-being as a loved one. I get this question by clients, other friends, family members and and even fellow therapists ALL. THE. TIME. Below is my list of things to remember and ways to tell a loved one that they’re in need of professional help. You are in so much pain right now. I know this is really hard for you. Introducing the idea of a therapist. If they say they’ve tried therapy before and it didn’t work, encourage them to try with another therapist. Not all therapists will be helpful or the right fit. They can definitely shop around until finding “the one” for this situation, in this moment (sometimes different issues require different expertise). Why it all matters. We all deserve unconditional compassion. If your loved one has insurance, there is a ‘member services’ phone number on it (most are on the back). Ask for their mental health services department. I recommend talking to a live person to have them email a list of their providers that are close to the home or work (or the city the person wants to seek services in). They can then cross reference that list online by searching the therapist and a website. You can also type in the search engine of your choice, “Therapist in (city)” or by zipcode. psychologytoday.com is an online therapist directory that you can filter by location and insurance. Resources and gifts that inspire healing. I have a Resources page with a variety of books on different issues to heal from. I also wrote an article focused on Mental Health Gifts that inspire healing. What about you? Yes, YOU! As a friend or family member, it can be difficult to hold all this pain and responsibility alone. If you’re finding yourself in a lot of emotional crises with family or friends, it’s critical for you to get your own support too. You might be having a lot of guilt feelings or a high degree of expectation for how you help them. It’s hard sitting with uncertainty and pain. Feelings and core beliefs of helplessness contribute to burnout, stress and your own ideas of what it means to be a true friend/family member. Sort it out with someone who is trained to work with burnout, self-care, and families afflicted by mental illness. Family Connections is a great source of support for loved ones of Borderline Personality Disorder or Emotion Dysregulation in general. I was trained by them and have implemented this support group in Spanish at Harbor UCLA. It made all the difference in loved ones being able to place appropriate boundaries, self-care and understanding for their family members. The National Alliance on Mental Illness (NAMI) is another great resource to anyone who has been impacted by mental illness (individuals and friends/family members). 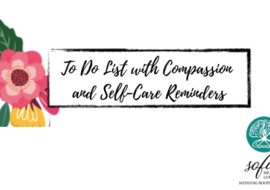 Check out these posts I wrote about convincing ourselves to self-care and basic self-care practices. They were written for parents, but the message applies to anyone shouldering the responsibility of helping in general. 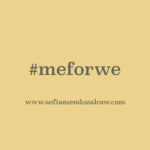 Implement the #meforwe or self(care)ish message if it helps. 7. Crises. If you feel that your loved one is a danger to themselves or others, I strongly urge you to call 911 or take them to the nearest emergency room. In Los Angeles County you can also call Department of Mental Health’s Access Hotline at (800) 854-7771 where you can speak to a mental health staff member and who can help with sending out the Psychiatric Mobile Response Team (PMRT) to your home to evaluate someone (wait times vary). Lots of police departments also have Mental Health Evaluations Teams that go out and conduct welfare checks to someone’s home and can also evaluate for a psychiatric hospitalization. Check with your local police station about this resource. Lastly, I’d like to make myself available as a resource. After being trained in various family support models, I appreciate the love, struggle and compassion of family members. 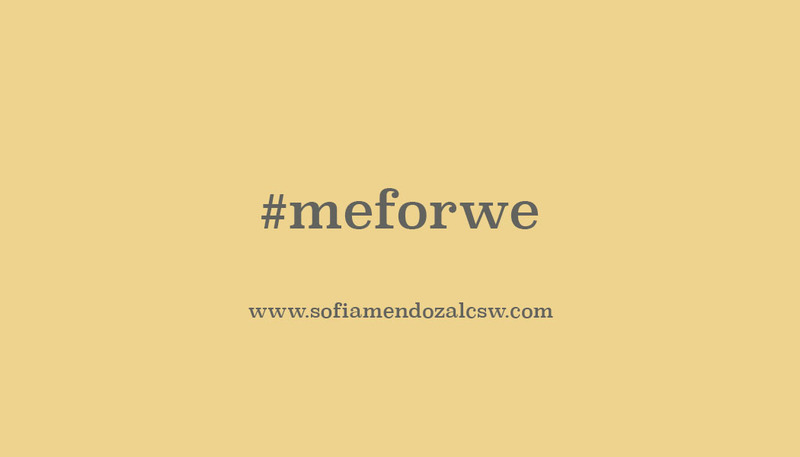 Feel free to contact me at info@sofiamendozalcsw.com to schedule a 15 minute consult to determine if you would benefit from therapy and support of your own. Thank you for these tips. When someone is depressed it effects everyone around them. So everyone needs to work as a helpful, supportive team. Thank you so much for writing this post! it will help so many who struggle with how to support their family members. Having a loved one with depression is a long hard road …. 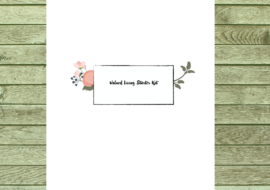 I know from experience that your tips and advice are truly helpful for families…. This is so great and so compassionate. It is hard to be the one with a depressed loved one too. It’s hard to know how to help them. This was such a great post! As someone that has someone close to them dealing with this, I will definitely apply some of your ideas!